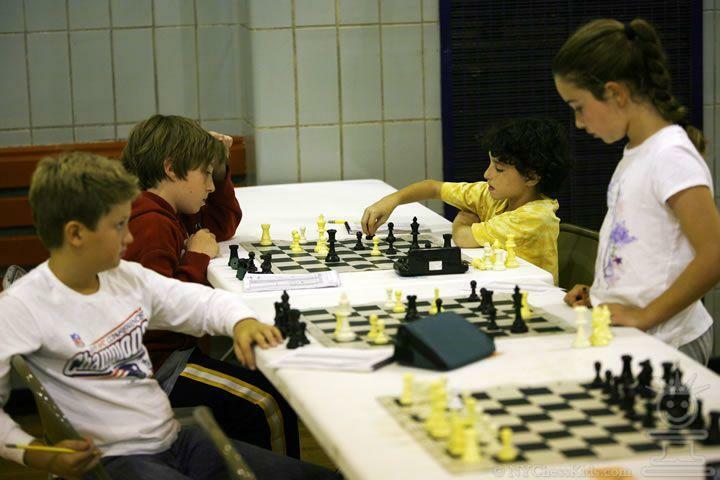 To start, you must know how to play chess, be outgoing, and like kids. Working with scholastic players takes a bit of effort, but can be quite rewarding! It helps a lot to be a parent with a student in the school which you want to host the club's meetings. However, other members of the community are often welcome to provide this kind of enrichment. Who's been down this road before? 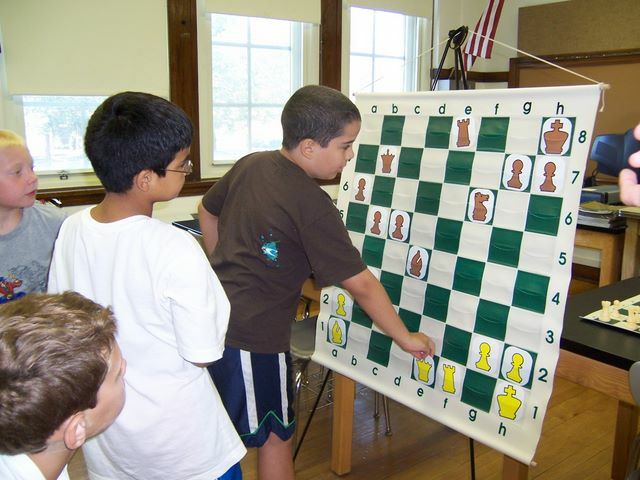 Network with others who have run chess clubs in libraries, schools, or other venues. They'll have valuable advice about what's important, what the pitfalls are, and shortcuts to effectiveness. You may also find these people by looking for chess clubs near you on the Internet. If you know a teacher at the school who can sponsor the club, he or she can take the lead with the school. If you have no sponsor, contact the principal, explain your idea, present your qualifications (if any), and see if she or he is interested. The principal may ask you, "What can chess possibly offer to school children?". You can tell him (or her) that at the very least, chess encourages focus and concentration; teaches logic and decision-making; demonstrates cause and effect; rewards planning ahead, strategy and patience; reinforces playing by a set of rules; and fosters respect for others. Losing games is part of playing chess, and learning from one's losses and handling them graciously are further lessons from chess that carry through to life in general. Significantly, several studies have shown a very high correlation between studying chess and improving math, science and reading skills. 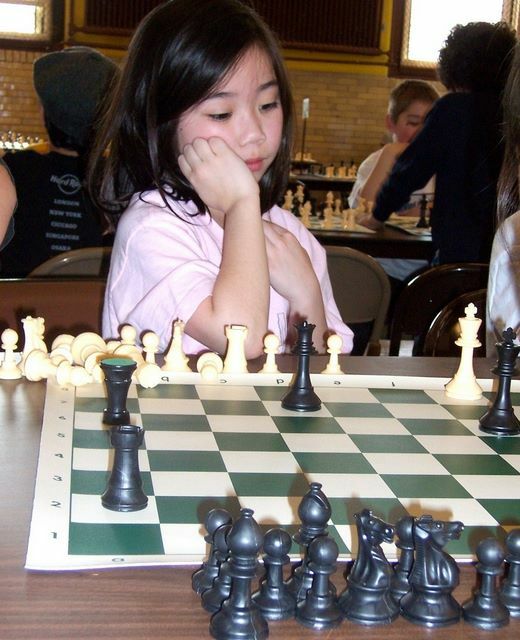 The benefits of chess for intellectual and character development are eloquently described by America's Foundation for Chess, which offers a very well-structured program that integrates chess into the school curriculum, specializing in second and third grade. The school may wish to try chess with your club, and then adopt the America's Foundation for Chess program later. The school will take the lead in deciding on scheduling, as the club may meet during school hours, or afterward. One advantage the club may offer to the school is helping occupy the kids after the normal school day until parents pick them up. To get started, you'll need several chess boards and sets of chess pieces. An initial budget of about $100 (for 10 members) could cover this. You may fund this yourself, or find local sponsors, such as merchants. Or the school or PTA or PTO may help. Remember that you will also need a safe place to store the club's equipment between meetings. Material about chess, such as "Complete Idiot's Guide to Chess" by Patrick Wolff, or "Everyone's Second Chess Book" by Dan Heisman, both available in libraries or online from sources like amazon.com. And there's plenty online, of course. Chess equipment from chess equipment web-sites such as Cajun Chess. Vinyl roll-up chess boards come with chess pieces to form inexpensive sets. A great tool is a demo board, which enables you to show positions and problems on a tilted board for many people to see easily. Or you may borrow equipment from friends, or from any local adult chess club, as they may want to encourage scholastic chess locally. Publicity: Working with the school, create a simple, colorful flier with the club's name (often that's simply the school name plus "Chess Club"), place and time of meetings, any fees, range of ages, your phone number and email address, and post it in several places in the library, and in stores nearby. If there is a web-site you can utilize, create a lively, colorful page on it and mention the site in the flier. Ask the school to distribute the flyer as a take-home with the students, and ask that it be posted on the school's web-site. Talk up the new club and the date of its first meeting to everyone you know, especially parents. You'll be surprised how effective this can be. Everyone wants to help worthy activities. Especially in the first few meetings, instruct the players on the goal of the game and basic moves of the pieces. Newcomers to chess need to know these things completely before going on. At the first and all meetings, be very friendly and encouraging to the players and their parents. Everyone should feel welcome all the time. For any newcomers to a given meeting, the first thing to find out is whether they know the basic moves of the pieces, and the goal of the game from each player's point of view. Encourage the club members to look at any books on chess you supply, or to seek them in a nearby library. A good way to start out is with some simple puzzles such as those found in the famous Lazlo Polgar book "Chess", or Pandolfini's book "Beginning Chess: 300 Elementary Problems". Any players or parents who know at least the goal of the game and the basic moves must be prepared to play with beginners, which is a very practical way to spread the ability to play, and to create relationships among the players and their parents. Like any organization, a chess club needs money to pay for various items, such as equipment, reference material, refreshments and communications. Experience teaches that having multiple sources of money works best, because if any one source dries up, the others are still there. Thus, dues and/or meeting fees come from players, and miscellaneous sources such as local merchants or civic organizations may provide ongoing support. It is better to have dues and/or fees in place at the launch of the club, rather than to have to impose them later, since players and parents are accustomed to them instead of getting a shock later on. Your club can hold fundraisers to acquire funds, too. Fundraisers not only raise money, they raise awareness of the club's existence in the community. A fundraiser can be a car wash, the sale of pizza, a picnic, or other event. The venue holding the fundraiser, such as a church or community center, also gains visibility with the community. Visit the American Library Association's librarygamingtoolkit.org for a boatload of information about gaming in libraries, which is partially applicable to schools. 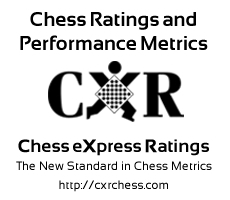 CXR Chess provides colorful, informative, cost-effective statistics and ratings that are designed to give scholastic players, coaches, teachers and parents enormous feedback on players' chess strengths and weaknesses. The most cost-effective way of purchasing the service from CXR Chess is the Premium Membership, at $7 per year for scholastic players. Tracks history of games played -- opponent's strength, result, etc. You may find it interesting to bring in a speaker about chess once in a while. Once the club is established, you might want to organize tournaments with other clubs. The local library may have a chess club with which your club can have matches. Please contact CXR Chess with comments, suggestions, etc. using "Contact CXR" on the home page.